The issue of establishing an anti-ballistic missile (ABM) system in Europe recently received a lot of attention both in Russia and in the West. The positions of the two nuclear superpowers — Russia and the United States — differ greatly, and that is hindering the process of further reducing their strategic offensive weapons and tactical nuclear weapons. It rarely gets mentioned that the American ABM system is global in nature, and its main components are deployed outside NATO’s area of responsibility, in the Asia-Pacific Region (APR). 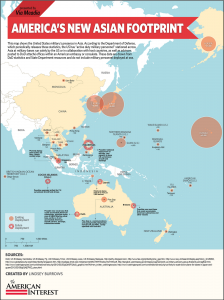 Plans call for establishing an eastern sector for missile defense extending from Australia through the Philippines, Taiwan, the Republic of Korea and Japan to Alaska. It includes American military installations in Hawaii and California. The new system is doubtless directed against America’s main geopolitical enemy — China — which is increasing in strength. The People’s Republic of China (PRC) currently has 48 intercontinental ballistic missiles (ICBMs), 30 of which are the new Dongfeng-31A land-based mobile missile system (China’s equivalent to the Topol missile system). China also has two nuclear-powered submarines undergoing sea trials; each carries 12 Zhulang-1 (or Zhulang-2) medium-range ballistic missiles. Chinese missiles still have a single warhead and no ABM penetration aids, so it would not be a difficult technical challenge for the Americans to intercept them. This July, however, China apparently tested the mobile Dongfeng-41 ICBM, which has multiple warheads. It is a three-stage solid fuel ballistic missile that is much larger than the Russian Topol missile. In the West, it is believed that it has a range of 10,000-14,000 kilometers and is equipped with 10 independently targetable warheads, decoys and other elements designed to overcome missile defenses. This ICBM will change the balance of power throughout the Asia-Pacific region. The US missile defense system already deployed in the region includes two installations with the three-stage silo-based Ground-Based Interceptor (GBI): there are 26 missiles of this type at Fort Greely in Alaska and another four at Vandenberg Air Force Base in California. Extra GBI silos have been prepared, which would enable their number to be significantly increased in a short period of time if the appropriate political decision is made (up to 100 missiles, according to some reports). The heavy GBI has a launch weight of 22 tonnes and is 16.6 m long. It is capable of reaching a speed of 7 km/sec. Existing guidance facilities make it possible to intercept ballistic targets at ranges of up to 2500 km and altitudes of up to 1700 km. With external target acquisition, the interception range can be increased to 4000 km. The upgraded Cobra Dane (Shemya Island, Aleutian Islands) and Beale (California) missile warning radar systems, the SBX-1 multifunction sea-based radar off the coast of Alaska, and the forward-based FBX-T on Honshu Island (Japan) can be used for that. Additional information about the ballistic targets can also be obtained using space platforms and various types of aircraft. However, missile flight tests of the GBIs have shown that they are not very effective. And those tests were done on a test range when the flight paths and launch times of the target missiles, as well as their characteristics in the visible, infrared and radar ranges, were known precisely. The actual capabilities of the GBIs to intercept difficult ballistic targets even in the form of a medium-range missile warhead have not yet been demonstrated. The situation regarding interception of ICBM warheads is even worse. Those tests are not scheduled to take place until 2015. For technical reasons, they are unlikely to be held two years earlier, as the Republican Party is demanding. Another factor keeping the Americans from mass production of these interceptor missiles is their high cost: $70 million each. In addition, in 2011, the US Navy already had 6 Ticonderoga class cruisers and 16 Arleigh Burke class destroyers. All are equipped with Aegis missile control systems and SM-3 interceptor missiles designed for kinetic intercept of short- and medium-range ballistic missiles. 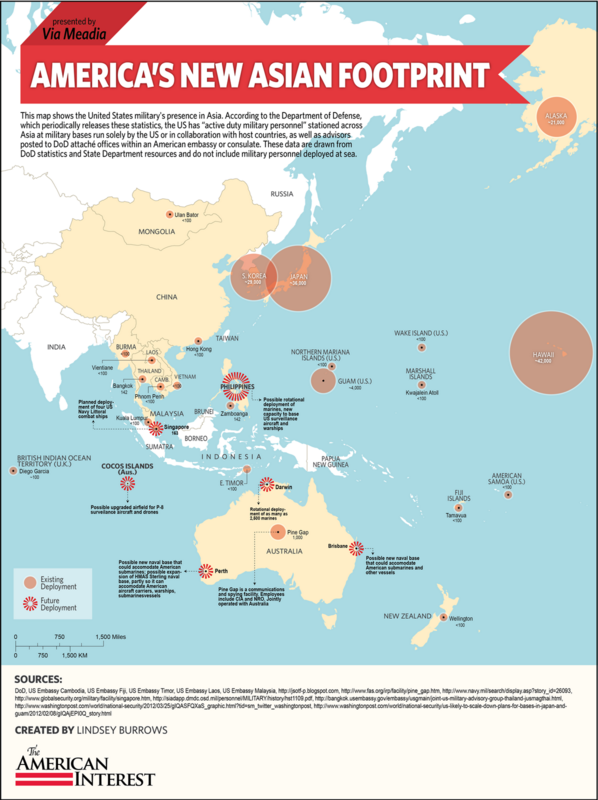 Moreover, 16 of these warships (over 70%) are in the Asia-Pacific region. Two versions of the SM-3 interceptor missiles are currently in series production: Block 1A and Block 1B. These relatively small missiles, which have a launch weight of about 1.5 tonnes, cost at least $10 million. Plans call for acquiring 112 SM-3 Block 1A missiles and 324 SM-3 Block 1B missiles by 2015. They will be placed on 9 American cruisers and 28 destroyers. These ships could carry more SM-3 missiles, of course, but they are placed in Mk41 vertical launch systems along with anti-aircraft, anti-submarine and cruise missiles. A warship obviously cannot be equipped with only one type of missile. A major shortcoming of the US ABM system is its use of the AN/SPY-1D sea-based radar for guiding the SM-3 interceptor missiles. This radar can detect ballistic targets at ranges up to 800 km and identify them at 500 km. External radars are needed to track targets at greater ranges. Note that the missile defenses of important targets are augmented by the THAAD and Patriot ballistic missile defense systems. The THAAD system can intercept ballistic targets at altitudes up to 150 km and at ranges of up to 250 km. The Patriot system cannot engage targets at altitudes over 20 km. A Russian military expert Viktor Yesin believes that the American ABM system still has little capability to intercept ICBM warheads. It can reliably counter individual missile attacks, and it can handle grouped missile attacks (up to 3 single-warhead ICBMs) with a probability of 50%. However, as the number of missiles grows and their performance improves, the combat capabilities of the US ABM system will increase. In order to improve its current missile defense capabilities, the United States is actively encouraging its allies to develop joint missile defense systems. And whereas such a system is just being built in Europe, one is already functioning in the Asia-Pacific region under a US-Japanese agreement signed in December 2004. This made it possible, for example, to provide its ally with Patriot Pac-3 surface-to-air missile systems (SAMs) , which were deployed in 2006-2008. These systems belong to Japan, so Japan could make the decision to use them. The Americans have assured Japan that it will both provide technical assistance in the use of the Patriot Pac-3 and make available the existing information and intelligence infrastructure should it prove necessary. Thus, the eastern sector of the US ABM system continues to improve, and that is evoking a response from China. I would like to think that Washington will not force China’s hand. Otherwise, a nuclear arms race in the Asia-Pacific region will be inevitable.